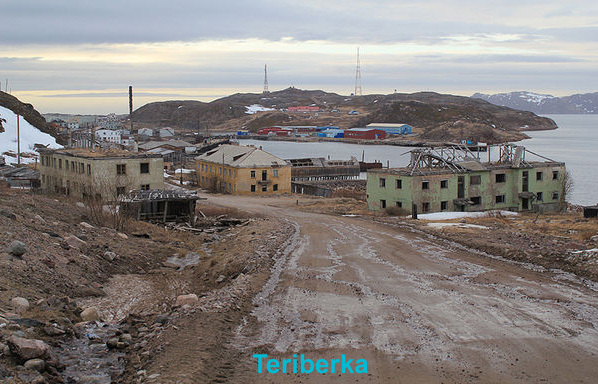 Teriberka is a rural locality (a selo) in Kolsky District of Murmansk Oblast, Russia, located on the Barents Sea coast, at the mouth of the Teriberka River. In Teriberke lives a little less than a thousand people. Tourists come much more. 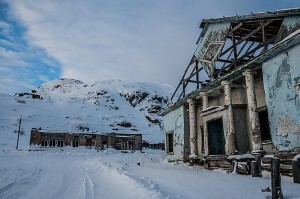 One moved here just after the the film “Leviathan”, others have chosen these places long before the movie – for wonderful nature and quiet, which is so lacking in the bustling metropolis. 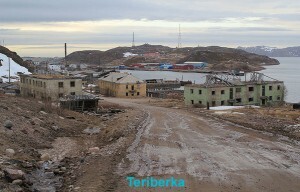 As a settlement, Teriberka was first mentioned approximately in 1523. Eyewitnesses from that time period confirmed the appearance of permanent Russian settlers. However, according to other sources, it was founded in the 1860s—the decade when the Murman coast was actively being settled. By the end of 19th century, it was well-developed: having a church, a lighthouse, and a weather station (the first one on the Murmansk coast). In the beginning of the 20th century, Teriberka had well-developed cod and shark fishing businesses (undertaken mostly by the Norwegians who owned a factory and a store). 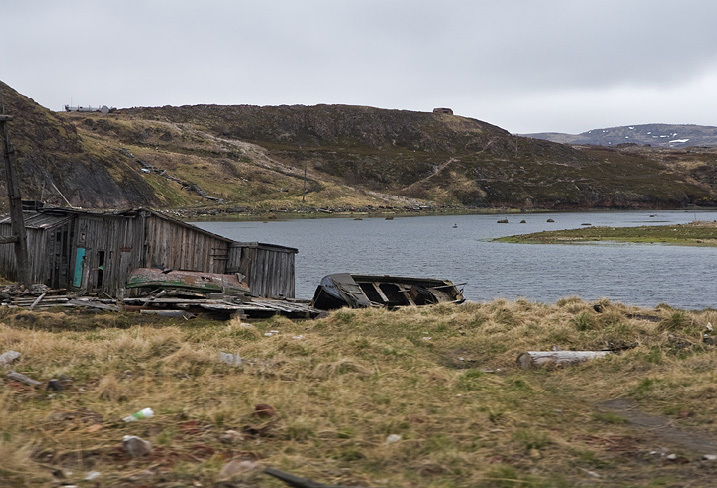 By the end of the 1920s, the first collective farm was organized in the village; it included a dairy farm and a reindeer herd in addition to the fishing boats. 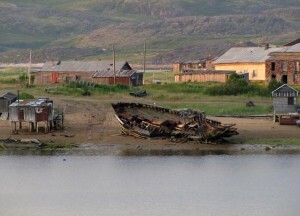 A popular tourist destination guide “Lonely Planet” describes Teriberka “Sandwiched between the Barents Sea and the snow-covered hills dying Teriberka Sami village – one of the most picturesque parts of the Russian Arctic with the skeletons of old fishing boats on the beach, pretty wooden houses and deserted buildings of the Soviet era”. For the second year in a row the festival of “Teriberka. New life”. After spending three days in the most beautiful corner of Russia, you posposobstvuete Teriberki change for the better. 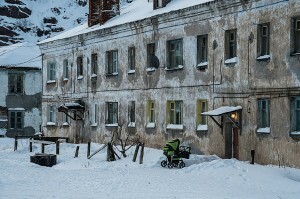 In the past year there has already opened the first cafe and two hotels, as well as the renovated road from Murmansk. 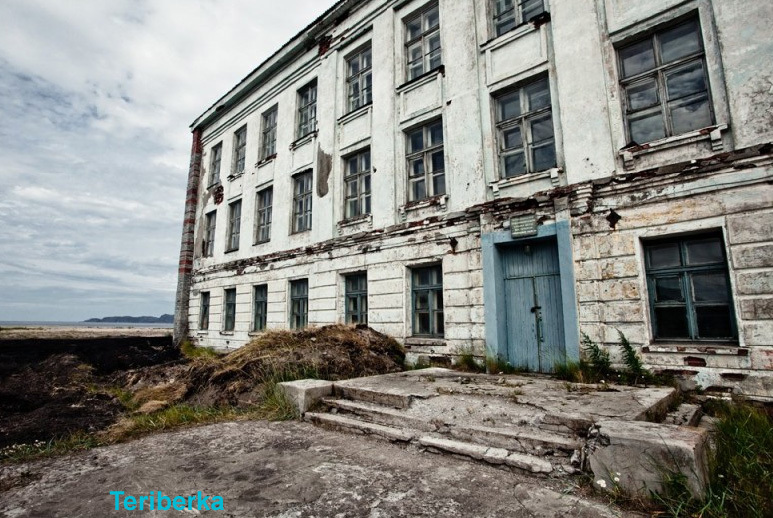 In the 1980s, a school of salmon was destroyed during the construction of the Teriberka River hydroelectric plants. 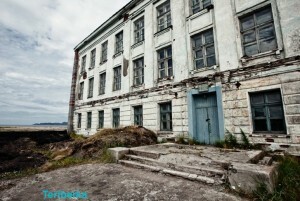 In the 2000s, the village was again subordinated to the district instead of the town of Severomorsk. Travelers waiting at the festival sports competitions, tasting of these northern dishes, boat trips, scuba diving, whale safaris, trekking across the tundra, and more. In the cultural program – dozens of workshops, theater performances, presented the current contemporary art. More information about the program can be found on the event website. 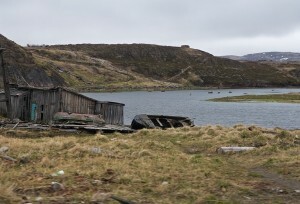 The indigenous people of this region – the Sami or Lapps (as they called them Russian settlers). Reindeer herding, fishing and hunting. Today, there are about two thousand people in Russia. Most of all – in Lovozero, about 900 people. 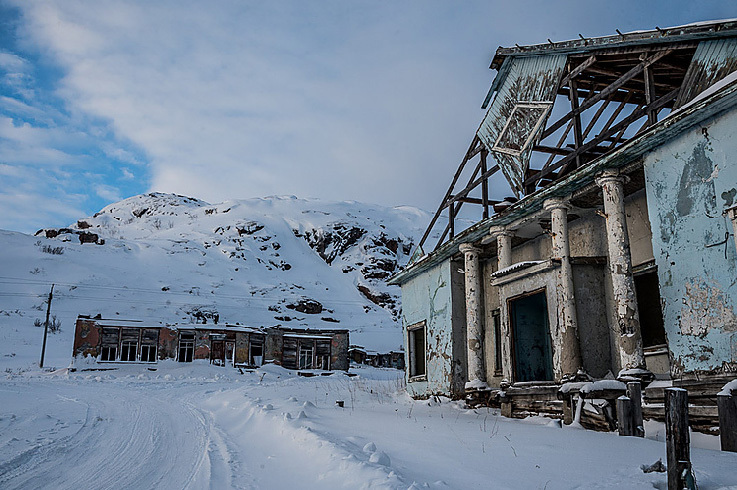 When you go to Teriberka, you feel a strange feeling, the road skirts the smooth stone hills, rises sharply goes down, and around every corner you are ready to see a long-awaited settlement. At the entrance of the road widens, curb steep walls rising up. Despite the fact that many years have passed, yet discernible outlines of the old Soviet airstrip, which is so hard to cut through the rocky soil of the peninsula. 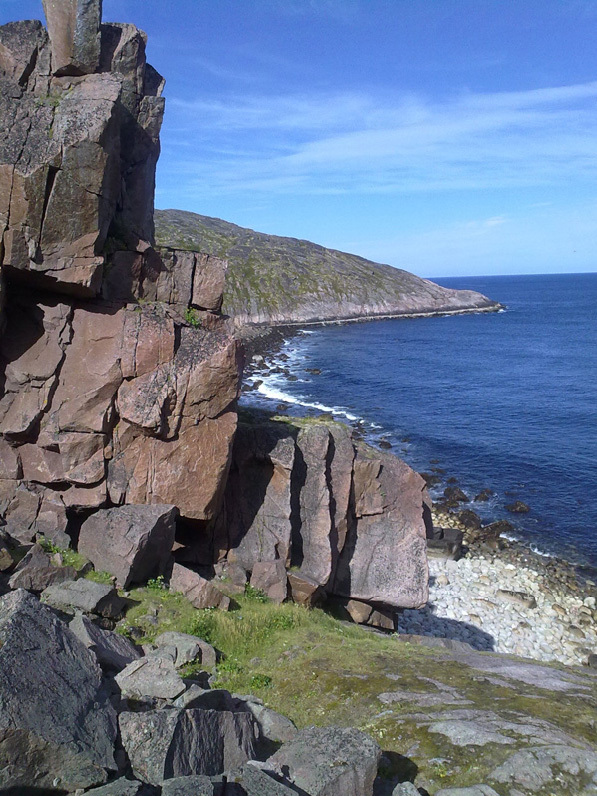 Teriberka located on the Kola Peninsula on the shore of the Barents Sea, in the tundra zone. The climate is subarctic, winter is relatively warm, but windy, summer is short and generally cool. Polar night in the village lasted for 43 days (from December 1 to January 12. 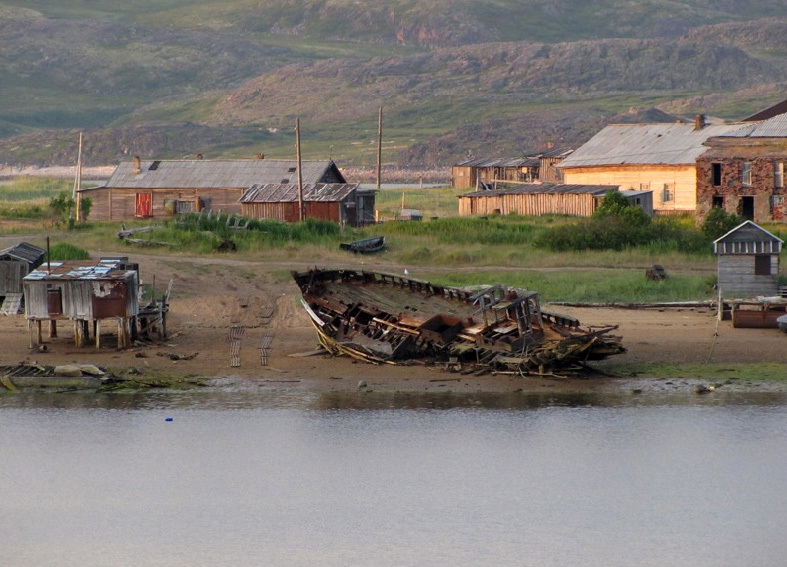 The village is almost abandoned, once it is built around a ship repair yard and fish-processing factory, and now the body decayed, and not repaired ships crammed along the entire coast. Fish factory lasted longer, but it suffered a sad fate. Due to the exorbitant taxes and miserable service fishing vessels ceased to enter the port of Murmansk, the catch for shipment. The flow of caught fish rushed to Norway. More than half of the houses are abandoned, there is no work for people here who could, moved to the city. Near the waterfall there is an old coastal battery composed of several 152 mm guns and a network of concrete bunkers. 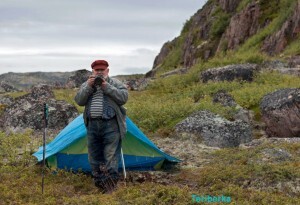 Near the waterfall, I met with the guys from Moscow, their tent near my flock. Together we decided to make a fire, a snack and a cup of tea. Somewhere in ten in the evening when it was dark, the fire came to our grandfather with a huge backpack and stolitrovym boatswain with a funny beard. He greeted us, set his tent and returned to the fire. We all drank a little of his proposed flask, a few minutes later struck up a lively conversation. The old man told me all sorts of stories about how he traveled to different worlds, passing through the portals hidden in Hibinah as foreigners wanted to buy from him the secret, and in one of these trips, he talked with the devil and God. He told it with enthusiasm, with a twinkle in his eyes, it was clear that he was the first time in a long time talking about it, and finally someone is listening to him with interest, and not spinning finger to his temple. I’m sure his children have long grown up, left and are now trying to minimize contact with an eccentric father. And I was indifferent, even though I do not believe in all this paronormalschinu, but what is the point to argue and prove something, anyway, I’ll go tomorrow and we would never see each other again. In the evening, the village completely transformed, if the day on the street has at least some people in the evening the streets completely empty and abandoned houses with black holes instead of windows look very creepy. From friends and acquaintances, I have heard many times about Teriberke, however, in the summer. Children painted beauty, berries, mushrooms, rocky outcrops. Diving with sea urchins, crabs and walruses. Although it is impossible to catch crabs is prohibited “, as it were by the law.” Crabs were brought, and they multiply with frightening speed, they eat everything in its path, and soon there will be nothing alive. And while they can not catch. It is not clear, but according to local, there’s a lot of crab. And if they catch you red-handed, apply severe sanctions. And the rest of the summer there cool. But we came here with Dima winter, chasing the Northern Lights. From what he saw, after 10 minutes I experienced a complete disappointment. In general, even without long explanations understandable village is dying, and only a matter of time when it will collapse completely. But 50 years ago there was everything else!